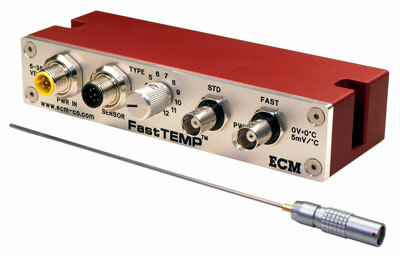 ECM's FastTemp™ thermocouple module outputs ultra-high bandwidth temperature measurements using standard K-Type (Chromel Alumel), grounded thermocouple probes. Measurements that once required a 0.005" (0.13mm) diameter exposed-bead thermocouple can now be performed using a 1/16" (1.5mm) shielded (i.e. more rugged) thermocouple. 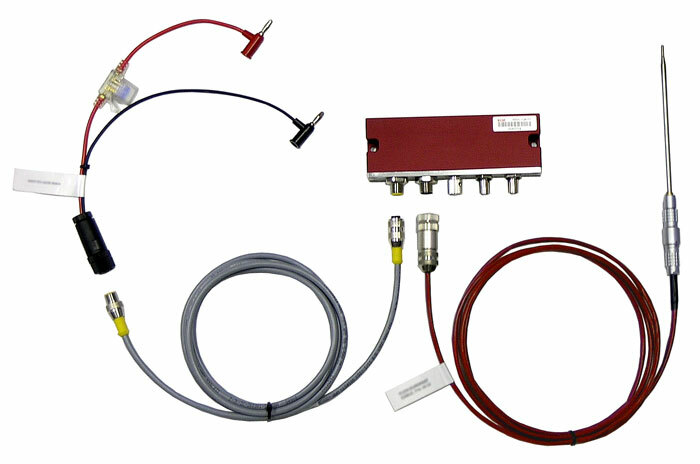 The speed increase is made possible by ECM's proprietary active-drive thermocouple circuitry. With FastTemp™, fast dynamic temperature information hidden by conventional thermocouple amplifiers now becomes available for use. FastTemp™ is especially suited for temperature measurements in the exhaust of engines for engine control, engine durability, turbocharger, aftertreatment, and exhaust system development.